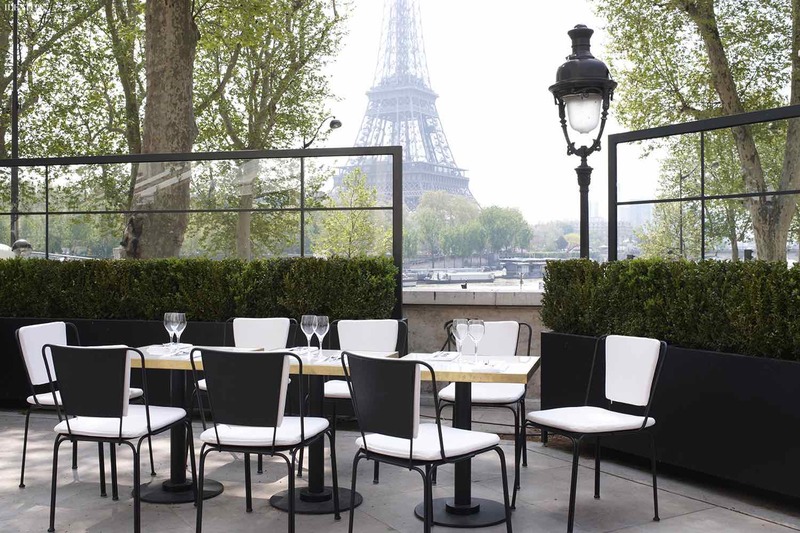 In Paris, sitting outside during beautiful weather is almost a requirement. As soon as the mercury hits a comfortable level, Parisians emerge en masse to people-watch and sip rosé on every street corner in the city. However, the loveliest locations are the ones you may not immediately spot. 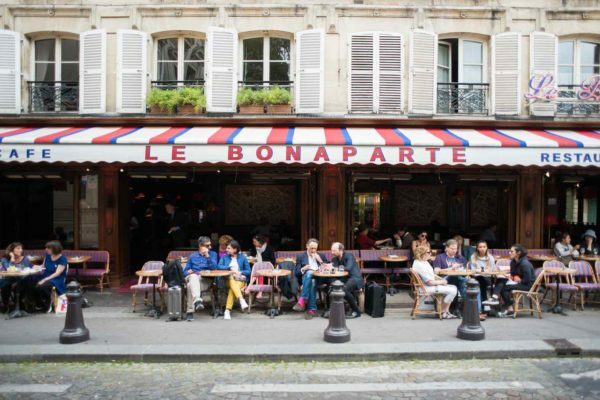 Here are some of our picks for the best places to eat outside in Paris. 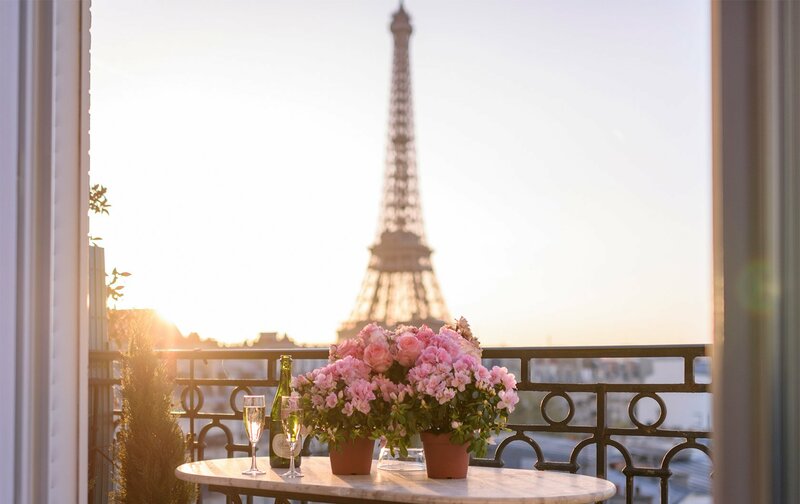 What better place to start than with an epic view of the Eiffel Tower? 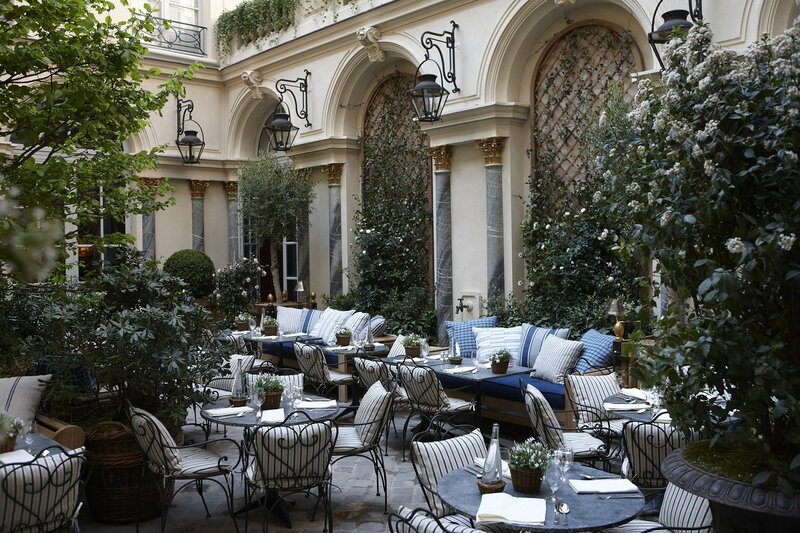 Monsieur Bleu is one of the restaurants of Palais de Tokyo, which is one of Paris’s modern art museums. 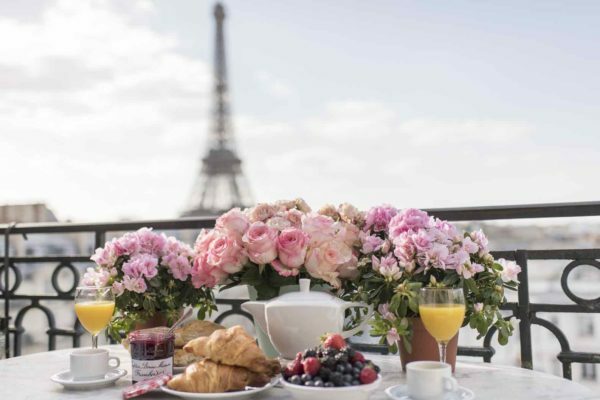 The interior was designed in a glamorous Art Deco style, but it’s the terrace that will really take your breath away, with one of the most spectacular views of the Eiffel Tower that you can find at a Parisian restaurant. The menu is simple and delicious, with lots of fish options balancing out the more typical French meats, and they even have a prix fixe brunch menu on the weekends! You may not have heard of this little museum, whose name translates to ‘the romantic life’, but a visit during the early summer when the roses are in bloom and you’ll wonder if this is a true slice of heaven. 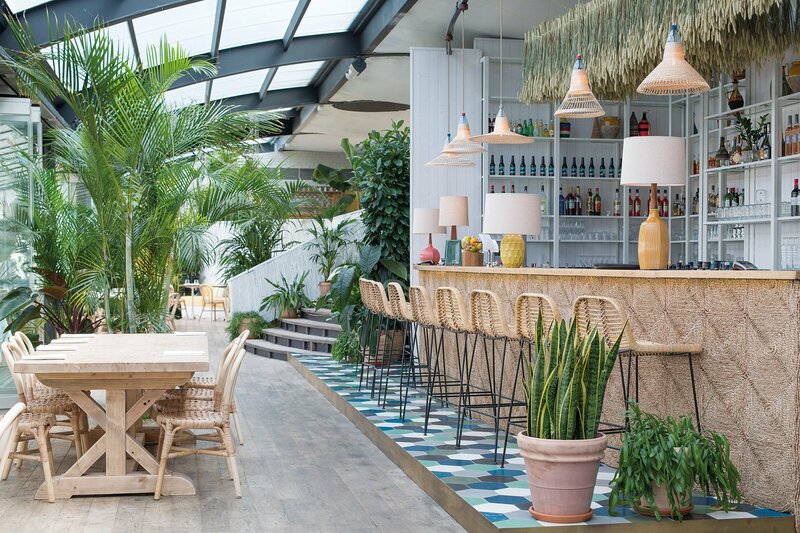 Its collection is small and tastefully curated, but it’s the garden and tea room that have earned it a spot on our list of the best places to eat outside in Paris. 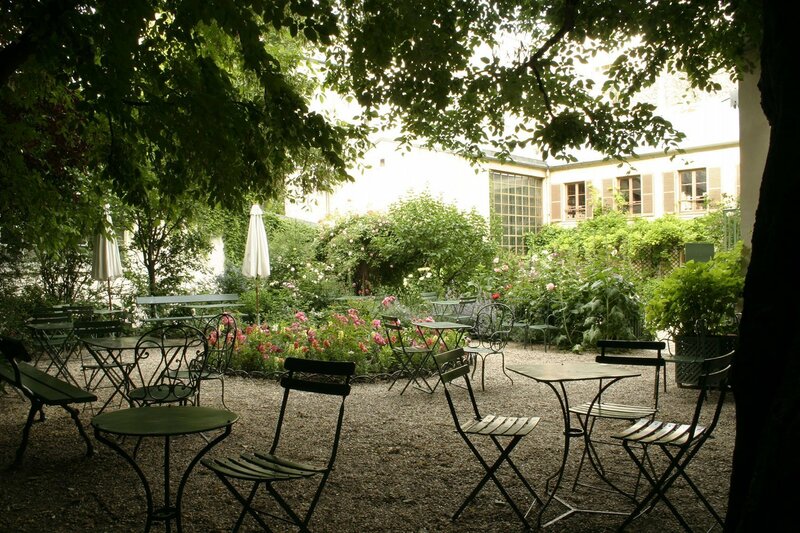 Having tea on the terrace of the quiet, flowering garden will transport you to a Paris of the past, a quiet respite from the bustle of the 9th arrondissement just outside. It reopens on June 22, after eight months of work making the museum handicap accessible. Centrally located in the Saint-Germain-des-Pres neighborhood, dining at Ralph’s is the perfect way to satiate both your appetite for shopping and for lunch. Sink into a chair, lean back on the comfortable striped cushion and enjoy the American-style cuisine in the French-iest of settings. Cool down on a hot day with ceviche-style swordfish or a cucumber and feta salad, followed by one of their classic main dishes. It’s the best possible mix of American and Parisian. 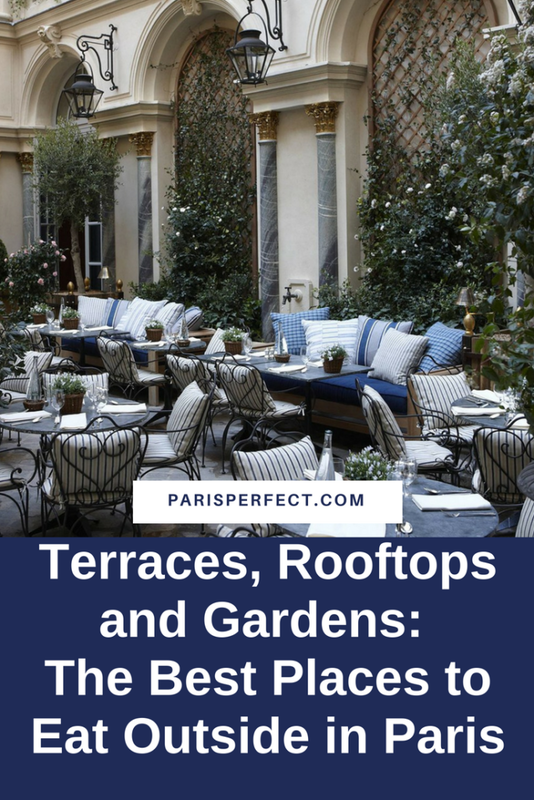 The most private of all the best places to eat outside in Paris, however, will be on your own Paris Perfect balcony or terrace! 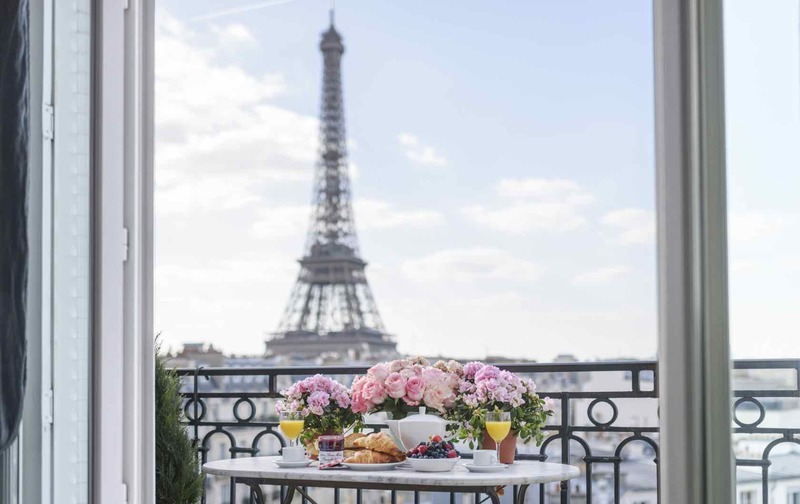 The Chateau Latour apartment, perfectly located by the Champ de Mars, boasts an unbeatable Eiffel Tower view and an adorable marble table for you to try your hand at French cooking. Keep it simple by having an at-home picnic with wine, cheese and a baguette as you watch the sun set and the twinkling lights of the Iron Lady illuminate your meal. Venture a little outside of the city for this gem, especially if you’re having a hankering for seafood; that’s what Polpo does best. From their happy hour oysters to multiple different preparations of mussels to, of course, octopus (“polpo” means octopus in Italian), you can enjoy all of their underwater offerings on a covered terrace. There is a beautiful view over the Seine, just outside of Paris in the lovely suburb of Levallois-Perret. They also offer a surf-and-turf brunch buffet on Sundays from 12-3pm. Have you ever pictured yourself in the middle of a Renoir painting? At Le Moulin de la Galette, you really can be, as one of his most famous works was painted here. 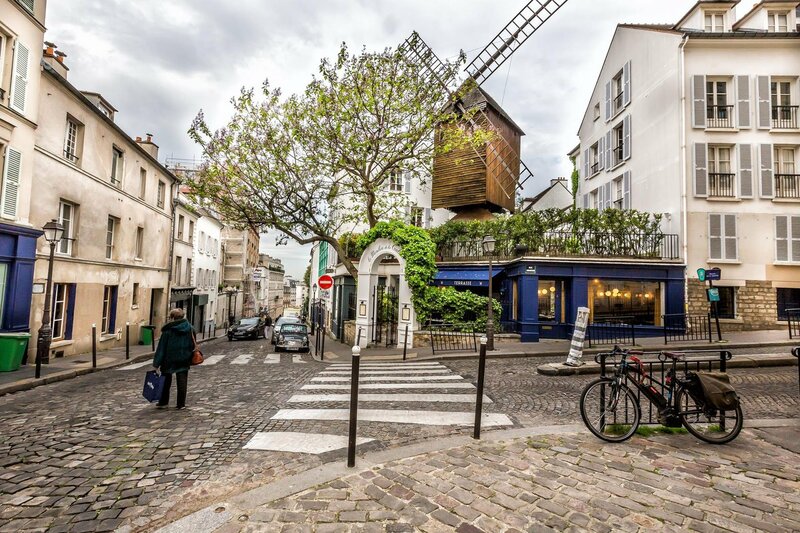 Though you may have seen the restaurant’s namesake moulin (windmill) while strolling through Montmartre, you might never guess that behind the entrance lies an adorable courtyard terrace for a restaurant serving only locally sourced French food. The menu is a fixed price, with five-t0-six options to choose for each course, and the menu changes depending on what is in season, as is the French way. Posted on Tuesday, May 29th, 2018 at 7:08 am in Food & Drink. You can follow any responses to this entry through the RSS 2.0 feed. You can skip to the end and leave a response. Pinging is currently not allowed.